Old Field is a village of 918 residents (2010 Census) in Suffolk County, New York, United States. The village is in the Town of Brookhaven on the North Shore of Long Island, and is officially known as the Incorporated Village of Old Field. Old Field is one of the most affluent communities in the state and is among the wealthiest in the United States. In 2010, Old Field was named the 25th most expensive place in the United States, with a median home sale price of $1,846,878 and a median household income of $185,398. Old Field is located at 40°57′45″N 73°07′49″W﻿ / ﻿40.962370°N 73.130318°W﻿ / 40.962370; -73.130318. According to the United States Census Bureau, the village has a total area of 2.2 square miles (5.7 km2), of which 2.1 square miles (5.4 km2) is land and 0.1 square miles (0.26 km2) is water. Old Field Point Light is located on the northern tip of Old Field. The tidal estuary Flax Pond is located along the northern shore of the village. As of the census of 2000, there were 947 people, 313 households, and 268 families residing in the village. The population density was 459.1 people per square mile (177.5/km2). There were 346 housing units at an average density of 167.7 per sq mi (64.9/km2). The racial makeup of the village was 94.61% White, 0.74% African American, 0.11% Native American, 3.59% Asian, 0.42% from other races, and 0.53% from two or more races. Hispanic or Latino of any race were 2.32% of the population. There were 313 households out of which 42.5% had children under the age of 18 living with them, 80.2% were married couples living together, 4.5% had a female householder with no husband present, and 14.1% were non-families. 10.5% of all households were made up of individuals and 4.8% had someone living alone who was 65 years of age or older. The average household size was 3.03 and the average family size was 3.23. In the village, the population was spread out with 30.0% under the age of 18, 4.6% from 18 to 24, 20.9% from 25 to 44, 32.1% from 45 to 64, and 12.4% who were 65 years of age or older. The median age was 42 years. For every 100 females, there were 98.9 males. For every 100 females age 18 and over, there were 98.5 males. The median income for a household in the village was $165,398, and the median income for a family was $202,071. Males had a median income of $100,000 versus $33,594 for females. The per capita income for the village was $73,658. About 2.8% of families and 7.4% of the population were below the poverty line, including 9.5% of those under age 18 and none of those age 65 or over. The village headquarters of Old Field is located near the lighthouse at the end of Old Field Point. Administration of the village of Old Field and the community of Crane Neck (part of Old Field) is done at this headquarters. The current mayor of Old Field is Michael Levine. The Old Field Lighthouse dates back to 1823. It was built by the United States government for $2,500. The rest of the lighthouse was finished in 1824 for an additional $1,500. The first light came from nine whale oil lamps and was magnified by a large glass reflector. In 1868, a new lighthouse was built, with kerosene lamps. In 1933, an automatic revolving light was installed. When the lighthouse was in use, the caretaker used the Old Field Village Hall as a home. The Old Field Constable and his family currently occupy the Old Field house. The U.S. government gave it back to Old Field in 1935, with the proviso that the government can take it back in case of a national emergency. It was taken back during World War II by the U.S. Coast Guard, but after the war they gave it back to the Old Field community. The Old Field light shines on New York's Long Island Sound. James Harris "Jim" Simons (born 1938) is an American mathematician, hedge fund manager, and philanthropist. ^ "Old Field Village: 2010 Census". 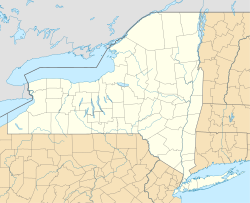 Wikimedia Commons has media related to Old Field, New York. This page was last edited on 23 June 2018, at 14:06 (UTC).